The only dental practice in Leeds with over 100 Five Star Reviews. We are committed to providing excellence in dentistry. Conveniently located in central Leeds, in the heart of the financial and legal districts and a few minutes from the train station, City Smile Dental offers exceptional dental treatment in a warm, relaxed and modern environment. Combining the best private dentists in Leeds with the very latest in dental technology, we’re immensely proud of our reputation as a warm and welcoming practice that puts the happiness of our patients at the heart of everything we do. We’re passionate about providing a world-class patient experience, to each and every one of our valued patients. Our team consists of highly experienced clinicians with a caring personality to match. Although we’re immensely proud to be recognised as Yorkshire’s leading Invisalign Clear Braces Go provider, we do offer a lot more by covering all aspects of general dentistry and offering attractive corporate dental plans. Our general dentists and hygienists focus on preventive care, working with you to ensure healthy teeth and gums and to fix dental problems when they do occur. On the Cosmetic Dentistry side, we enhance and create beautiful smiles with treatments ranging from straightening, veneers and whitening through to bespoke smile makeovers to produce your perfect smile. A spectacular smile that perfectly suits your face can make you look youthful, radiant and confident. You are a great candidate for a cosmetic smile makeover if you feel self-conscious because of issues such as crooked teeth, worn or chipped teeth, spaced teeth or discolouration. Our solutions to these dental problems include tooth whitening, invisible braces, white fillings, crowns and Teeth Veneers. At City Smile Dental, we’re truly passionate about your happiness. We know that our reputation as a leading dental practice in Leeds is built upon your satisfaction with our treatments. Every member of the team will only recommend necessary treatment for our patients and strive for excellence in outcomes for each and every one of you. We believe in innovation and offering our treatments using the best dental equipment available, to enhance your experience. We truly love what we do. we have expert Clinicians and superb support staff all working from our practice in Leeds city centre. We pride ourselves on our reputation as an award-winning, dynamic practice with a welcoming yet proficient team. Every member of the team at City Smile is in the privileged position of working with our patients to deliver your treatment goals. For a friendly chat, or to book a free consultation, please call a member of the team on 0113 833 0417 and we look forward to welcoming you to our practice soon! Start your Invisalign journey with the clear brace experts in Leeds. 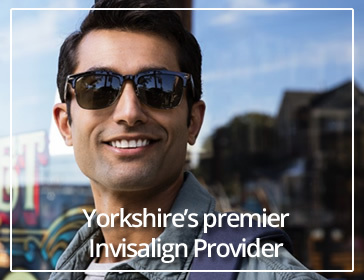 We are Yorkshire’s largest provider of ‘Invisalign Go’. As one of the leading Invisalign providers in Yorkshire, you can trust our experienced and expert clinicians. 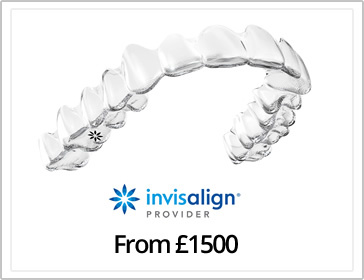 Invisalign has never been so affordable, with our prices starting from £1500, contact us for your FREE consultation. 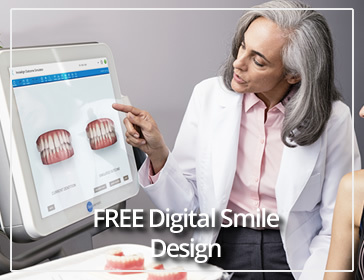 We currently offer a FREE Digital Smile simulation so you can see what your teeth would look like after Invisalign treatment. For the latest offers follow us on Social Media! Our reputation is so important to us but what makes us stand out from other dental practices? Please leave a message for an immediate response. I called to enquire about Invisalign and was thrilled when I was able to come down the same day to discuss my requirements. Everything was fully explained to me and the clinic itself is very sleek and modern. The following week I was able to get my dental impressions done to start my treatment plan. Amazing, prompt and professional service! I can’t wait to start my treatment as I know I will be receiving 5-star care throughout. This is the friendliest dental practice I have been to. Sid managed to fit me in very last minute for an appointment just before Christmas as I needed to see a dentist urgently. The practice is very friendly, courteous and knowledgeable and is conveniently located in the west end of Leeds. Thoroughly recommend! This website is operated by City Smile Dental Limited, which is registered and incorporated in England and Wales, registered no. 10385197. Its registered office is at City Smile Dental Clinic, 4 York Place, Leeds, LS1 2DR.